On these warm summer evenings, there is nothing better than a refreshing gin and tonic. 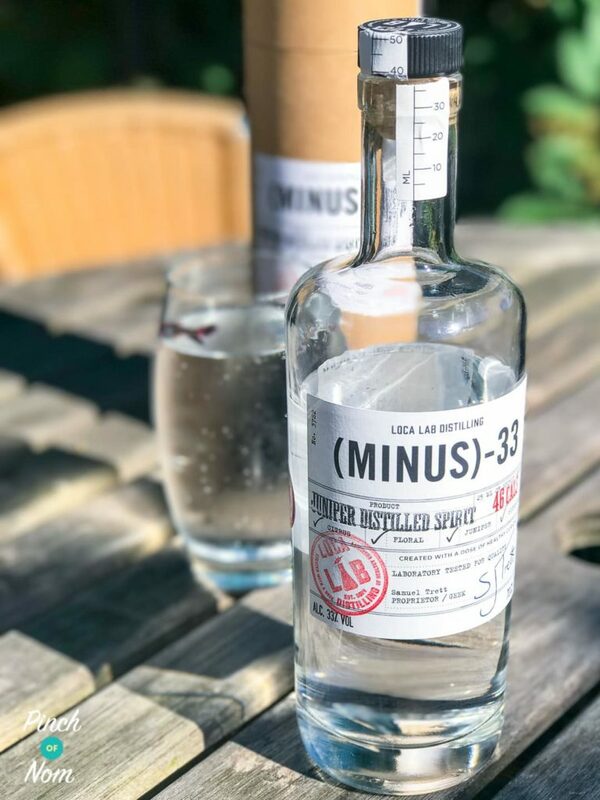 So, after being sent a bottle, I took on the, errrrr, challenge of reviewing Minus 33 Spirit, which is a low calorie spirit. What does Minus 33 Spirit taste like? 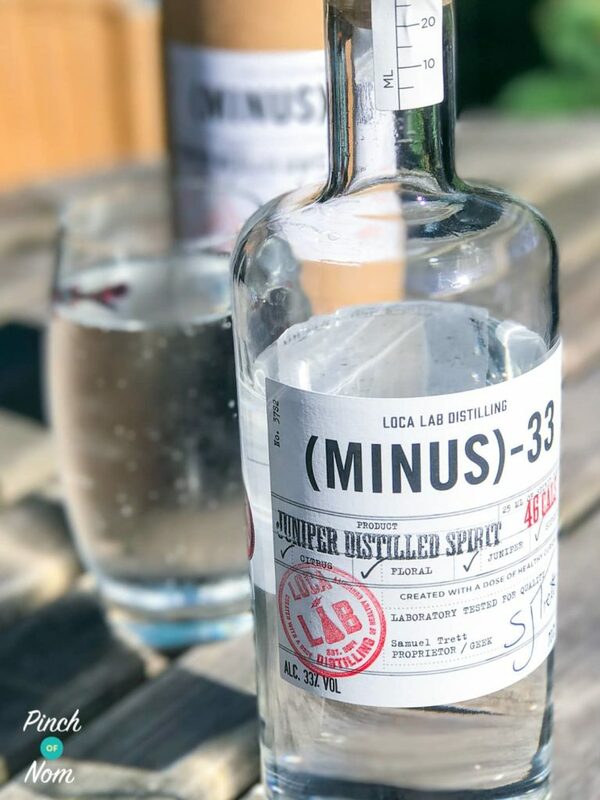 Minus 33 Spirit is distilled to be slightly lower in alcohol which therefore reduces calories but aims to not compromise on taste. Due to the lower alcohol, it cannot be officially classed as gin but it is distilled using botanicals in the same manner than gin is. Within the packaging there was a bag of dried petals. 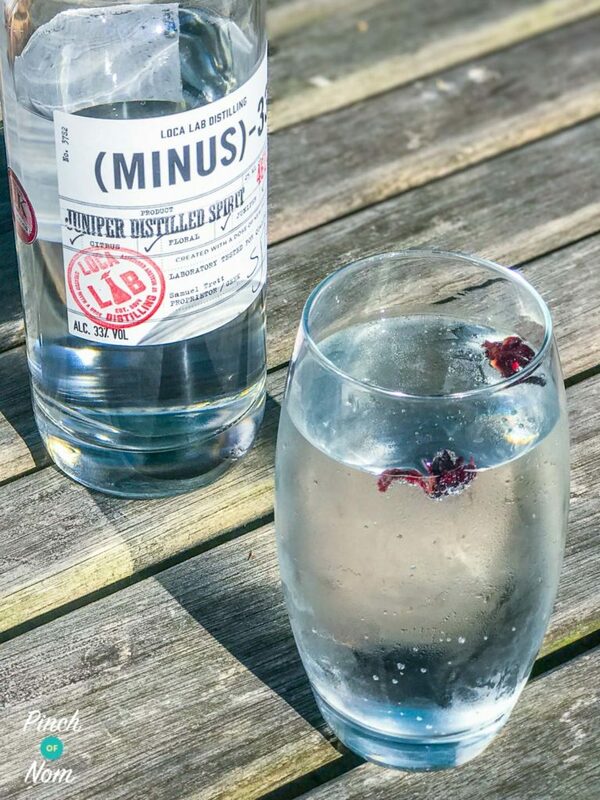 I initially had no idea what they were as there was nothing on the labelling to suggest what they were for, but after some research, I discovered that they were, in fact, hibiscus petals which is one of the garnishes recommended by the company. I tried Minus 33 Spirit with some slimline tonic and a slice of lemon to start with. This is the recommended garnish on the bottle description. The first few sips did taste a little antibacterial, and felt that there was something missing from the drink to balance the flavours. Second time around, upon the discovery of the mystery petal purpose, I put a couple of hibiscus petals in with the drink. This made a huge difference! 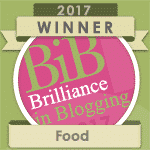 It just lifted the flavour, made it slightly sharper and turned the drink a pretty shade of pink. If you don’t have hibiscus petals, I would suggest lime as this spirit really needs the lift of something sharp and sour. How many syns are in Minus 33 Spirit? 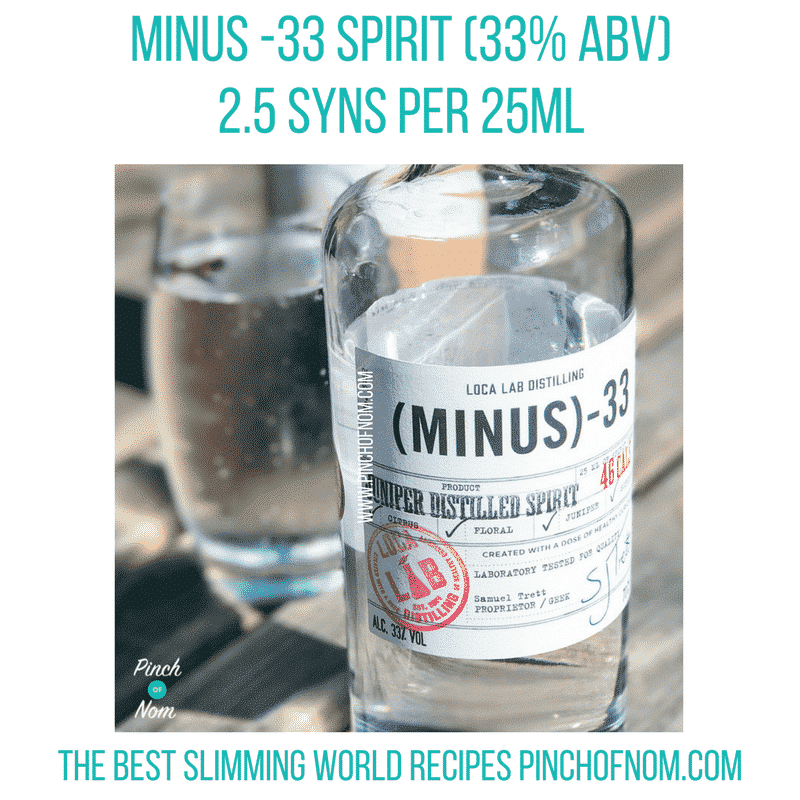 Due to the slightly lower alcohol content (33% ABV), Minus 33 Spirit comes in at 46 kcal per 25ml which works out at 2.5 syns. This is half a syn less than regular gins. How much is Minus 33 Spirit? Minus 33 Spirit is £29 per bottle. 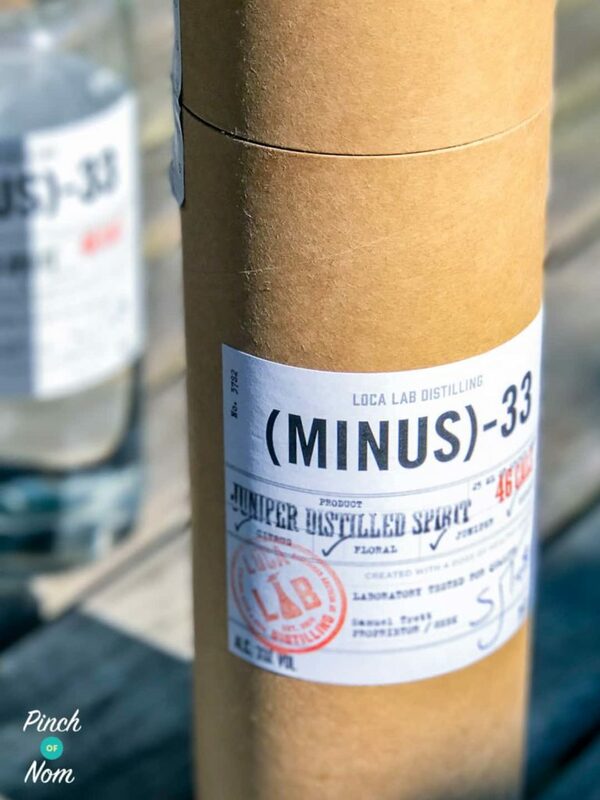 The website has an offer available on cases of Minus 33 for £150, which works out at £25 per bottle. Where can I buy Minus 33 Spirit? 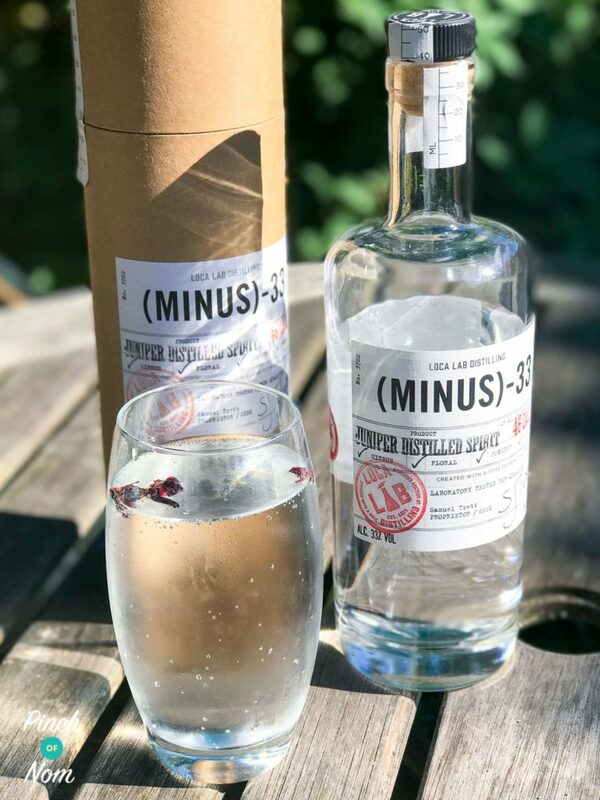 Minus 33 Spirit is available from their website. 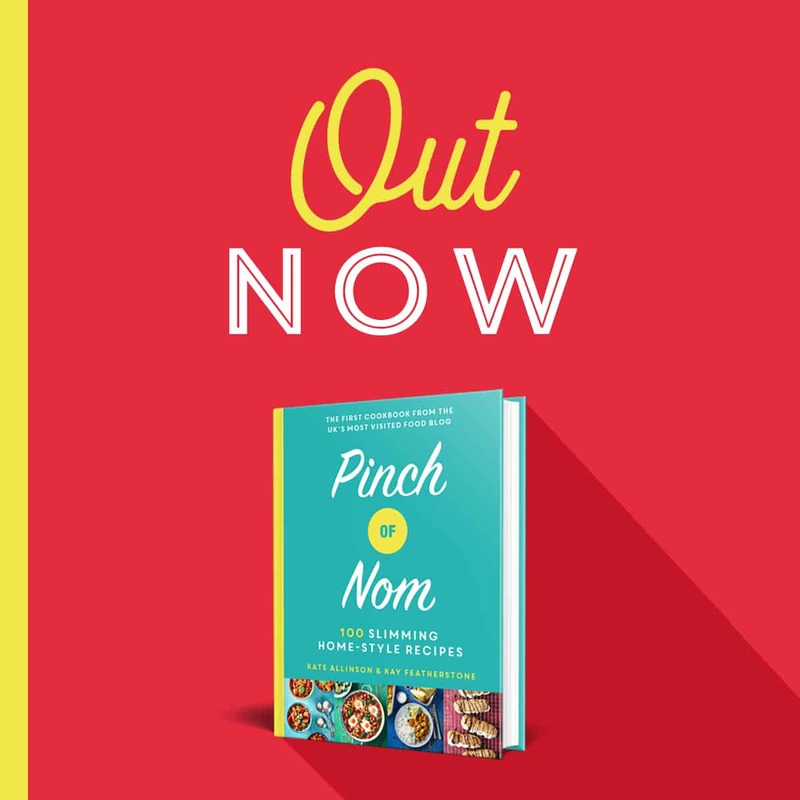 Standard UK delivery is £4, European delivery is £15. You can also order it from other online drinks sellers, prices and delivery varies. Would I buy Minus 33 Spirit again? When I first tried Minus 33 Spirit, I wasn’t entirely convinced. However, with the right garnish I was pleasantly surprised at how drinkable it is. 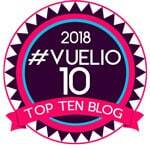 In a market saturated with different gins, they’ve got tough competition so I looked into something which would set them apart from other companies. I was pleased to read that they aim to be as eco-friendly as possible, using sustainable fuel and ensuring waste is reused (or eaten by some Angus cows!). I love the industrial style of the bottle and packaging which is really on trend. Minus 33 Spirit is a good all rounder and all things considered, I would buy it again.